For a mix of style and minimalism, look no further than this chronograph timepiece from ARMANI. Featuring a combination of leather and stainless steel, this sleek watch is fitted with a single sub-dial and water resistant feature. 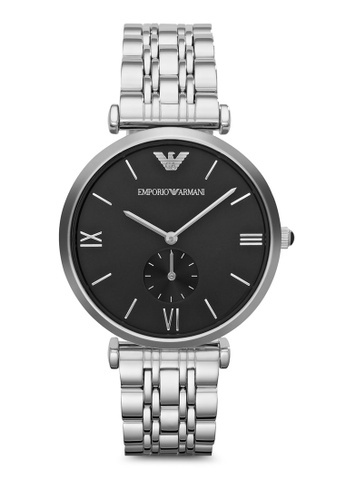 Can't find Silver Steel / Black Armani AR1676 Watch in your size?